If you play fair on Twitter, then you're unlikely to get your account suspended. Playing fair means staying below their follow limits. If you try following thousands of people every day and then unfollow these same people shortly thereafter (this is called follower churning or aggressive follower churn), you're likely to be suspended eventually. Twitter doesn't mind you having lot's of followers, in fact they encourage it. That's why they feature users on the sign-up page, and why their founders have millions of followers already. You can have 100,000 followers and they won't bat an eyelid, but if you aggressively unfollow people, spam tweets all day long, or do other naughty things, then expect to be suspended. Naturally, people are concerned about having their accounts suspended on Twitter, especially if they've put a lot of hard work into growing them. I want to share a few more thoughts on this. Firstly, no one really knows what Twitter is looking for when it comes to suspensions. We know the general guidelines they publish, but we don't really know exactly what they look for. To be honest this makes sense. If they published that they will suspend accounts that unfollow 1000 people a day, then everyone would just unfollow 999 people a day. With this in mind, we have to make our own principles and stick to them. These principles need to be good so that we can build our accounts safely and consistently over time. I don't know about you, but I'm in this for the long-haul, so I'd rather grow a community that will still be there in a few years time. Try and use Twitter in the spirit it was built, even if you are promoting a business or yourself. This will go a long way to keeping you on the right side of the "law" so-to-speak. It was built as a medium for people to broadcast what they were doing or thinking. Spamming a hundred links a day obviously doesn't fit into this philosophy. Smooth gradual growth of followers is far better than irregular spikes of lots of new followers. Twitter looks for this. Set yourself a target and try and meet it on average every day, instead of once a month. Adding 25-50 followers a day is far better than adding 1500 followers three days in a month. As your account becomes more mature, you can adjust this upwards. Unfollowing people as soon as they've followed you is a game. It's not a nice game, and you probably don't want people to do it to you. Twitter knows this, so if you consistently unfollow people who have followed you back, then you're likely to raise some alarms. It perfectly fine not to want to follow others, but if this is the case then don't try trick people into following you. Unfollowing people that don't follow you back is a different story of course. People will one-way follow you in the long run, especially if you have something interesting to say. Twiends.com offers you the ability to grow your audience in this way without playing games. Communicate. Influencing people through conversation will get you far better results than spamming ever will. Twitter was not built for spam, so this is a big thing that they look for. The bottom line is, if you keep those principles in mind, you're far more likely to keep a clean account. If you are ever suspended, you'll have good case for getting yourself unsuspended. Twitter does make mistakes from time to time, so if they review your case, you don't want to give them an excuse to keep a suspension in place. Play nice, grow smoothly, and don't spam. 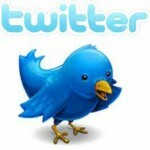 NOTE: If you're looking to increase your Twitter followers or Facebook fans, try using the service Twiends. With Twiends, you can earn credits for connecting with other Twiends users and use those credits to let others connect with you. Sort of like a marketplace. You can even tweak your setting to get higher quality followers and there is an option to purchase credits if you don't have the time to earn credits manually. For more information, visit the Twiends website. If I've been falling behind on my blog posts lately, I do apologise. The reason for this is that I went to see my doctor last week due to feeling dizzy for the past few weeks. After some blood tests, it was found I had high cholesterol...his diagnosis was that I must change my lifestyle and exercise regularly. Until then, have a great Easter! Affiliate marketing is a well-known and relatively easy concept. It's a marketing practice in which a business rewards one or more affiliates for each customer brought about by the affiliate's own marketing efforts. While the theory of affiliate marketing is simple, it's not an easy task to market affiliate products successfully. Most affiliate marketers typically only earn a few dollars of supplemental income a month; however the more experienced marketers earn well over six figures a month. PPC - The most popular fashion of promoting affiliate products. With PPC you bid on relevant keywords related to the product you are trying to market. PPC is not as easy as just writing an ad with a few choice keywords and leaving it at that - this will not get you any sales. To really excel at PPC you must be fairly familiar with how AdWords works and most importantly you must track everything to determine what keywords are generating conversions for you and what aren't. 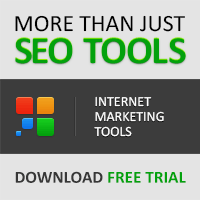 SEO - Another popular method of promoting affiliate products but also the most difficult is Search Engine Optimization. SEO is the process of improving the visibility of a website or a web page in search engines via the "natural" or un-paid ("organic" or "algorithmic") search results. SEO doesn't bring results instantly but it can be extremely rewarding in the long run. Coupon - The recession has seen the way that customers shop online change. Savvy shoppers know there is often a discount to be had by shopping online and will conduct searches geared towards finding these discounts. With that being said there are many coupon type websites that promote affiliate products. This is by far the fastest gainer in terms of popularity and success for affiliates. Incentive/Loyalty - As mentioned before with the change in how consumers shop online, Incentive and Loyalty websites have popped up where they share a portion of their affiliate earnings with users in the form of a reward, such as miles, points, cash, donations to a charity, or merchandise. Email - This is the best way to stay in touch with people. Even just a monthly newsletter is a good internet marketing promotion. Social Media - Social media is the hottest sector on the Internet right now and only getting bigger and more powerful. This means, as an affiliate, you need to be actively using social media sites to promote yourself and your websites/blogs. Here are some practical ideas for using Social Media to enhance your affiliate marketing efforts. Website/Content - Affiliates who develop and publish content (such as news, information, reviews, or some other area of interest) to a destination website. What affiliate marketing promotional methods have you seen or what has worked the best for you? Every vertical and every site is different so the methods could change depending on what you market. It all comes down to making sure the traffic you generate is targeted enough to make the sale! NOTE: If you publish content and you're looking for a simple way to earn money from your blog or website, try using the content monetisation service VigLink which makes affiliate marketing very easy for bloggers and website owners. More information on this service can be found on our post: Monetise Your Blog With VigLink. Facebook makes the claim on its advertising page that there are over 500 million active users. Therefore, it makes a lot of sense to learn how to use Facebook for marketing your business. In fact, businesses are giving Facebook more priority over their corporate websites and frequently point to a Facebook page instead of a URL. With over 500 million users however, you can imagine how many hundreds of thousands or millions of Facebook Pages there are. Therefore, businesses need to be proactive in order to give their business pages maximum visibility. 1. Use a profile photo that tells your followers who you are and what you have to offer: If you're a single store location, it might even be advisable to put your store hours on the photo. Add URLs to other websites and social presences. Facebook's limitations on photos vary; some say that they can successfully upload a 200x600 image whereas others claim that 180x540 is the current limitation. Experiment and see what Facebook allows you to do. 2. Choose a name for your page that your customers can identify with: Don't be cute or silly. This is your brand's page. Use the name of your business, and if necessary, add the city name as well. 3. Use a vanity URL that your fans may guess to find you: There have been many companies specifically sought out on Facebook by simply typing facebook.com/businessname. It is surprising that some of the business names actually pointed to personal profiles and not the business profiles. 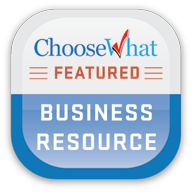 Instead, reserve the business URL for your business page. You can allocate a vanity URL by going to facebook.com/username. 4. Give your followers information about you: Fill out as much information as you can in the About box under your profile and on the Info tab, and make sure to offer keyword rich text so that your Facebook presence shows up for search engine queries for your business. 5. Personalise your page: One of the ways to do so is to create a custom Facebook page with iFrames. This entitles you to add custom pages. You can create pages to invite users to connect, let people find your store locations, or offer exclusive features to your fans. Whatever you do, keep the engagement level high. 6. Tell your customers where to find you: You probably have a web presence, right? Make sure to encourage your followers to find you on Facebook. Add links to your Facebook profile (and any other major social presences) in your email signature. When an individual becomes a new Fan, it shows up in their news feed, so others can also find out where they've been - and this could potentially have a viral effect. Once you're found, the rest is up to you. Being actively engaged is a critical part of success on Facebook. Once your fans are there, make sure they stay by giving them reasons to regularly participate. Did you like this article or have tips to share? Please let me know by using the comments section below. In this article you will find out about Google Plus One, the new social feature Google has added to it's SERPs. You are probably familiar with the Facebook "Like" button and Googles' +1 is a similar concept. The big difference is that Plus One will have a direct influence on the search results people see at Google. So let's find out about the impact of Plus One on your SEO efforts. Here's the basic concept of the new social SEO with Plus One. If one of your friends or network members in +1 has searched on Google and then recommended something via the "+1 Button", you will see this in the search result pages. Google hopes to improve the results this way. You will be able to see which of the search results have been liked by your network and which ones haven't. You will start with every of your Gmail and Google Talk Contacts in your network on Plus One. But you will be able to import your Twitter and Facebook Followers. This way you can instantly use all of your social media contacts and insure that all your current social network connections will find Your +1 Likes and can also jump start your search engine listings by asking them to like you on +1 via the existing social networks. "The primary benefit is that search gets better. It gets better in the user interface immediately, and we'll look at it as a potential signal to improve search quality as well. I find social search extremely useful, especially with the recent updates. This change continues the evolution of social search, and it's a natural progression to improve the search experience." You see that sites that get a lot of recommendations via the Plus One feature will be considered more important and advance in the rankings. So even if you completely ignored social marketing up to this day and concentrated on a SEO approach to traffic, you will have to go social now. Social SEO is coming and you better be ready to dominate your niche in Plus One. The main focus will be to grow your Twitter and Facebook Networks in your niche to be ready to start Plus One with a huge network. But you can also start to add more related Gmail contacts. Use other Google products like sites, groups or docs to find people related to your niche, then add them to your contacts. Since Google will not launch a complete social network (at least not now), there will be no way of directly searching and adding members in Plus One. Another instant preparation is to do a makeover of your Google profile. Once the Plus One System is in place, your profile will be the page that people visit to find out more about a person that has recommended a site. Many people are not even aware they have a Google profile page when they start using a Google service. Spice up your profile now to be ready when +1 starts. The system is first launched for the English market and will be available internationally later. But you can go to Google Labs Experimental Search and join as a beta tester right now. You can find out more about the impacts of social SEO on the authors blog about Affiliate Niche Marketing. Many companies believe that in order to generate more leads from their website, they must invest more in expensive SEO and PPC - This isn't true. There is a better (and less expensive) way to generate leads by improving your conversion rate. A small increase in conversion can double (or even triple) your sales. Improving conversion isn't hard and to help you, Infusionsoft have created a free guide with 13 easy strategies (from high-level strategies to nitty-gritty details) that will boost your conversion rate. The best part is, you don't need to be an expert in online marketing to implement them. 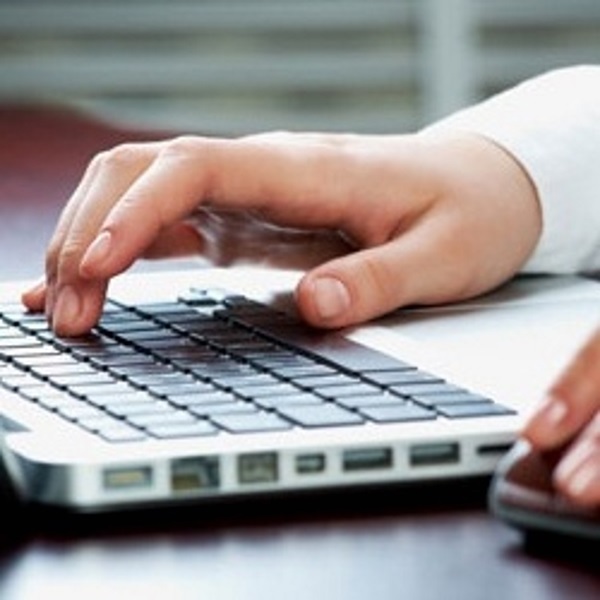 Use magnets, such as free reports, to attract visitors. Turn visitors into leads through webforms. Use permission-based marketing to convert leads into customers. Optimise you website layout and webforms to maximise opt-ins. 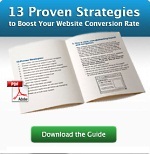 Learn how to boost your website conversion rate by downloading the free Website Conversion Guidebook today. 3. The Edge of Success Guide: A must-have resource guide that will help you take your business to the next level. Click here to download your free guide. Blogger have just introduced dynamic views for blogs. By simply adding "/view" (without quotes) to the end of your blog URL, you and your visitors can view your blog in 5 different formats. Although still in a preview stage and according to the recent post on Blogger Buzz, you'll soon be able to customise the templates and use one of them for your blog. These new views use the very latest in web technology (AJAX, HTML5 and CSS3) to deliver a host of benefits to you and your readers. As these views use the latest in web technology, you will require modern browsers such as Internet Explorer 8+, Firefox 3.5+, Chrome or Safari as many elements of these views will not work in older browsers. You will also need your blog to be set to public and your feeds fully enabled before these views are visible on your blog. For more information, visit the help pages: Dynamic Views for Authors and Dynamic Views for Readers. At present, these views do not support many of the features your original blog may have, such as the display of advertisements. For this reason, Blogger have provided the option for you to disable dynamic views in your Settings page. They intend to add these missing capabilities over the coming months as well as to let you personalise these views, including providing an option to set a particular view as the default. What do you think of these new views? Comments welcome. UPDATE 4TH APRIL 2011: Google have just released a Chrome Extension to support the dynamic views. Once installed, this extension will automatically detect when you are viewing a Blogger blog and then display a Blogger icon (the orange "B") in your address bar which lets you select and view the blog in one of the five new dynamic views. For more information on this, visit the Blogger Buzz post: Dynamic Views, the Chrome Extension.